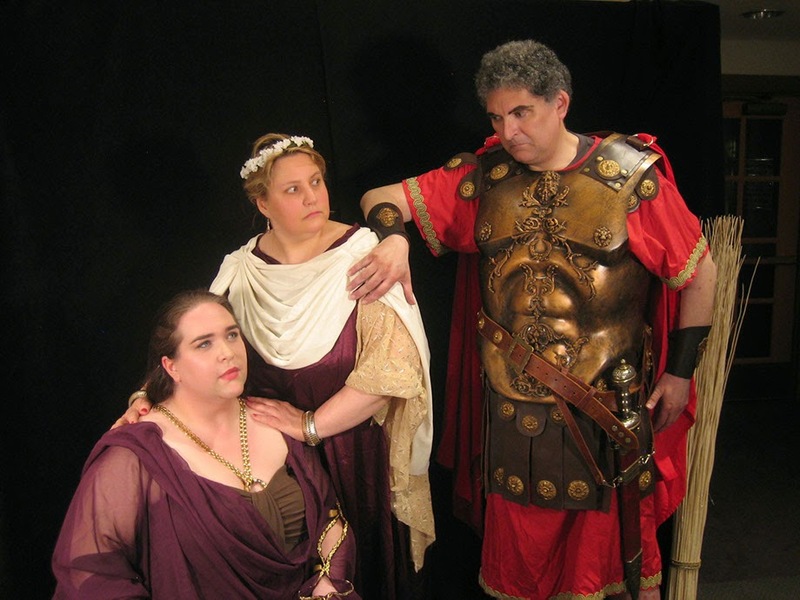 On Sunday evening I saw Hudson Opera Theatre's offering of Mr. Bellini's Norma, my all-time favorite opera. I have traveled to see and hear Norma before, and was grateful this was a drive of only about an hour and a half. This was my first experience with Hudson Opera Theatre (or HOT, as members like to call it). This is the company's 14th season, and it has roots as an organization dating back to 1967. Artistic Director Ron De Fesi, who conducted and directed Norma, has a long and varied list of accomplishments. I've stated often that I'm a big supporter of opera at this professional level--young professionals seeking experience and notice and semi-pros who have other jobs to pay the bills. Sometimes I call it church-hall opera, but in this case I might call it chancel opera, for the stage was the chancel area of Middletown's United Presbyterian Church. When the singers were fully engaged in their roles, this didn't matter. I heard some quite lovely singing in Sunday's performance. Unfortunately, the good singing was not distributed evenly among the entire cast. Soprano Korin Kormick was the best singer in the cast, and gave us a beautifully sung, well-acted Adalgisa. Her singing is even and rich throughout, and her coloratura passages clean and free. It would delight me to no end to see Miss Kormick sing Adalgisa quite often. It's a great role for her. I also think Norma will be a great role for her in the future. I was less thrilled with the Norma of Robin Rubendunst. I think Miss Rubendunst was miscast, in spite of some of the roles her bio-blurb lists. Norma requires a voice of size, but also one with great warmth. A Norma must be able to sing fast-moving coloratura passages, and very high notes, and sing it all with subtlety and grace. In truth, it sounded to these ears as if she has a lighter than desired voice, and her efforts to compensate for this did not produce the desired results. I was told Miss Rubendunst had been ill earlier in the week, which might explain a few things. Miss Rubendunst's best singing was in her duets with Miss Kormick, when singing gently in parallel sixths and thirds. I'm afraid the news doesn't get any better when discussing the male singers. In fact, the only male singer I'd choose to hear again was Sam Savage, who sang Flavio, sidekick to tenor lead Pollione. I'm afraid I don't have much to say about Argun Tekant as Pollione or Alan Andrews as Oroveso. I simply believe they were miscast. I applaud the efforts of Hudson Opera Theatre and other groups on the same level. HOT's list of accomplishments is quite impressive. In this case, I rather think they might have bitten off more than they could chew.